The duos and trios of It\'s Possible feature Alex Coke on flute, bass flute, piccolo, tenor sax, kaen, and toys, with Tina Marsh and Steve Feld. Alex is an original member of Austin’s Creative Opportunity Orchestra, and Tina its vocalist and Artistic Director. They have collaborated in the large group setting with CO2 for many years, and have also recorded in smaller groups formats, most recently on New Texas Swing (CreOp Muse, 2002). Here they are heard for the first time in intimate duos on classic songs like Ornette Coleman\'s Lonely Woman, Harry T.Burleigh\'s spiritual Deep River, and Charles Mingus’s Eclipse. 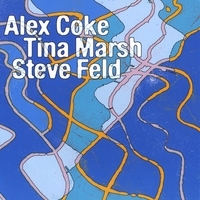 The CD also features three new Alex Coke compositions as well as duo improvisations performed with Steve Feld, who plays a West African bass rhythm box. In addition to the duos with Tina and Steve, there are several trio pieces, including the title track, It\'s Possible, an improvisation with text adapted by Tina from a poem by Antonio Machado. Other trios involve innovative studio techniques, like improvising to playback of Steve’s ambient recordings of African frogs, Japanese water zither, New Guinea rainforest birds, and the tolling of the World Peace Bell. A special feature is a suite of four pieces dedicated to the late soprano saxophonist Steve Lacy, an inspiring friend and model of integrity in the world of musical improvisation and collaboration. It’s Possible is dedicated to the late Bob Paredes, who inspired Alex’s ideas about recording while listening to and then removing ambient sounds. Bob was part of a regular improvisational circle in Austin in the late 1980\'s that also included Alex, Tina, and Steve, and recorded with them on Leadbelly Legacy Band\'s Out On The Western Plains. The CD also reunites the trio with original CO2 and Leadbelly Legacy Band drummer Rock Savage, who did the artwork and graphic design. Alex Coke has been featured as composer, arranger and soloist with Creative opportunity Orchestra since the early 1980s. From 1990-2000 he toured and recorded with the internationally renowned Dutch jazz group, the Willem Breuker Kollektief. An improviser and experimentalist with a wide range of interests from avant-garde to world traditional musics, Alex has led and recorded with many groups, including Live Action Brass Band, the Leadbelly Legacy Band, New Texas Swing, The Worthy Constituents, and Rajamani. Steve Feld performed and recorded with Alex & Tina in Leadbelly Legacy Band and Live Action Brass Band during his Austin years teaching at UT. Steve\'s recent research on African jazz takes him to Ghana, where he tours and records with Accra Trane Station, a group dedicated to the African legacy of John Coltrane. When Accra Trane Station came to the US in 2007 Alex joined them in concert and for the recording of Topographies of the Dark. what "...started the ancient music going again..."
you know something amazing has begun. The brave and beautiful music of ITS POSSIBLE finds Jazz speaking its most primal Truth, recalling indeed an ancient,intimate music that really COOKS. fashion these duos and trios with Tina Marsh(vocals)and Steve Feld(box bass)into a perfect feast for hungry ears. From the warm familiar "Deep River", or the eerie beauty of Ornette Coleman's "Lonely Woman", to expressive collaborations inspired by amphibians, bells and bugs on a log, ITS POSSIBLE takes the universal language of music and righteously expands the lexicon.